Development and expansion of Liverpool International Academies throughout New England region. 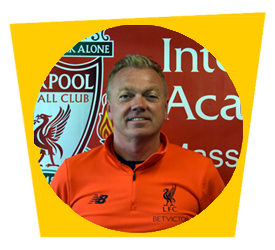 "As a Liverpool International Academy club we are privileged and honored to represent one of the top soccer clubs in the world. 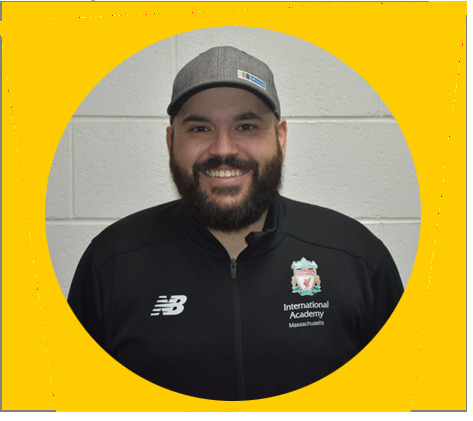 As the CEO and coach at the club it is of paramount importance to me that we deliver "The Liverpool Way" authentic soccer experience to our players and families." "It is an absolute honor to be part of the LFC family and represent the world's greatest football club here in America. I take great pride in being able to wear the LFC crest and coach our players how to play 'The Liverpool Way'." "This is an exciting time to be coaching for LFC. There is so much commitment to grow the game. At LFC, the players always come first and quality never suffers." "I was born in LIverpool in 1966. I have lived and breathed Liverpool FC ever since. As a scouser and a lifelong Liverpool fan, it is an honor to represent Liverpool Football Club in the USA." "As a Longtime Liverpool FC supporter I am delighted and honored to be representing this historic club! To be a part of LFC means that I get to teach our membership what this club means to me and so many worldwide, as well as show them what it means to play the Liverpool Way! YNWA"
"To me, football is about pride and passion, so to work for a club like Liverpool with such a storied history makes perfect sense. I'm excited to grow within the club and pass along my love for the beautiful game." "I'm excited to work with the young and talented Goalkeepers at LFC"
"It is a great opportunity to grow as a coach and have the opportunity to grow LFC as a club and its players as people and soccer players." "It is an honor to represent Liverpool FC and to teach our players how to play The Liverpool Way." "It is truly an honor to represent one of the most successful and historic clubs in the world. I am beyond excited to learn and work together with such a caring and experienced group of coaches to help educate players on the importance of the core values of ambition, commitment, dignity, and unity. By putting the players first and inspiring them to play "The Liverpool Way" on the field and represent themselves and the club with pride off the field - the sky is the limit!" Former College player at Wheaton College. "Representing LFC means being a part of a community that is rooted in tradition and has a deep sense of pride and passion. I am honored and excited to be tasked with sharing these values with kids and teaching them to play The Liverpool Way." "It is a privilege and honor to coach and represent such a historic club that is full of great tradition and pride. From growing up watching LFC play to coaching and being a part of the "Liverpool Way" it is an incredible experience. I agree when people say that being a part of LFC is a life changing experience." 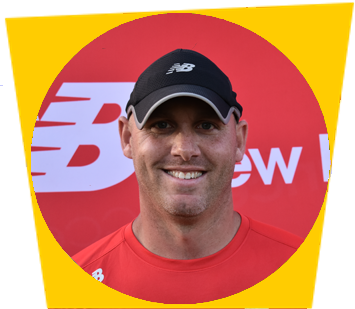 "I love the structure, direction, and goal of LFC and its commitment to creating and constantly improving a positive training environment for young players"
"I look forward to helping the Growth and development of these young players here at LFC"
"After coaching numerous teams across several organizations, I am very excited to join the Liverpool Family. It is extremely clear and refreshing that the club’s principles and practices are solely centered on improving player development both on and off the pitch!"